EECH! EECH! EECH! EECH! EECH! It’s the sound of terror! Celebrating the Halloween season in true style, Film Fatale will unleash Alfred Hitchcock’s chic and chilling classic Psycho on Saturday 18 October. Few Hollywood directors can combine horror with couture to such creepy effect, making Hitchcock’s Psycho the perfect Film Fatale film leading up to Halloween. A femme fatale on the run and a shy, handsome in-keeper with a secret, director Alfred Hitchcock brings us on a journey to The Bates Motel, a remote, aged lodge with a terrifying story to tell. Who is Norman Bates? And what is wrong with his mother? Is anyone in the Bates Motel safe? Even if you know the answers, you still can’t prepare for the scares that are so beautifully punctuated by Bernard Herrmann’s score of screeching violins, violas and cellos. 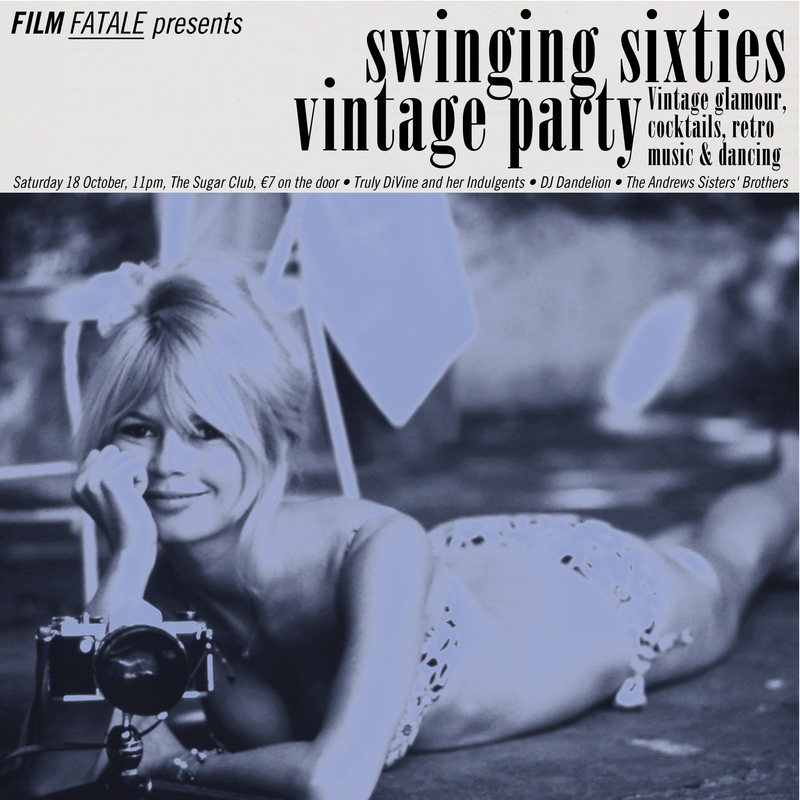 The Film Fatale Swingin’ Sixties party will follow the screening, where you can go-go dance to our live band, and do the twist to resident retro DJs The Andrews Sisters’ Brothers, who will be playing music from the film’s era. The audience is invited to help set the scene by dressing up in their vintage finest, paying homage to 1960s or mirroring the famed sartorial style of Hitchcock’s heroines. Film Fatale will set the scene with a mini recreation of the 1960s in The Sugar Club side bar — a perfect chill-out room where you can step away from the busy dance floor and sit back with your 1960s bespoke cocktail designed especially for the night. 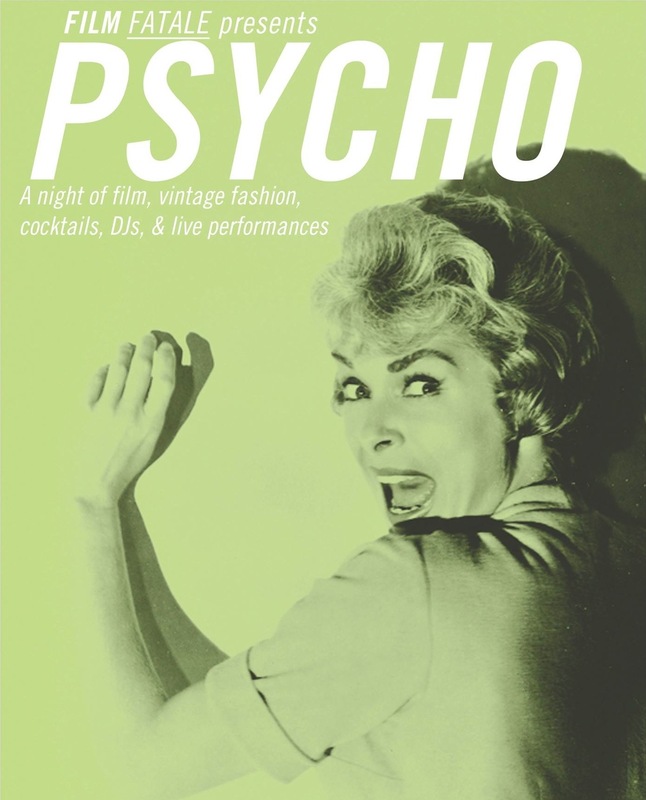 Join us at Film Fatale for a screening of this glamorous suspense-horror masterpiece and a night of sixties Hollywood glamour, vintage music, cocktails and dancing. Please note: people with a weak disposition will be tied to their seats and have their eyes clamped open to ensure they don’t miss a single second of suspense and horror. We are not responsible if the ‘horror’ causes you to have a heart attack but we will call you an ambulance. Dressing up as Psycho is fun. Trying to kill fellow movie goers is not. Embrace the Swinging Sixties on October 18 for a night of cocktails and dancing, vintage glamour and retro music, in The Sugar Club, Dublin. 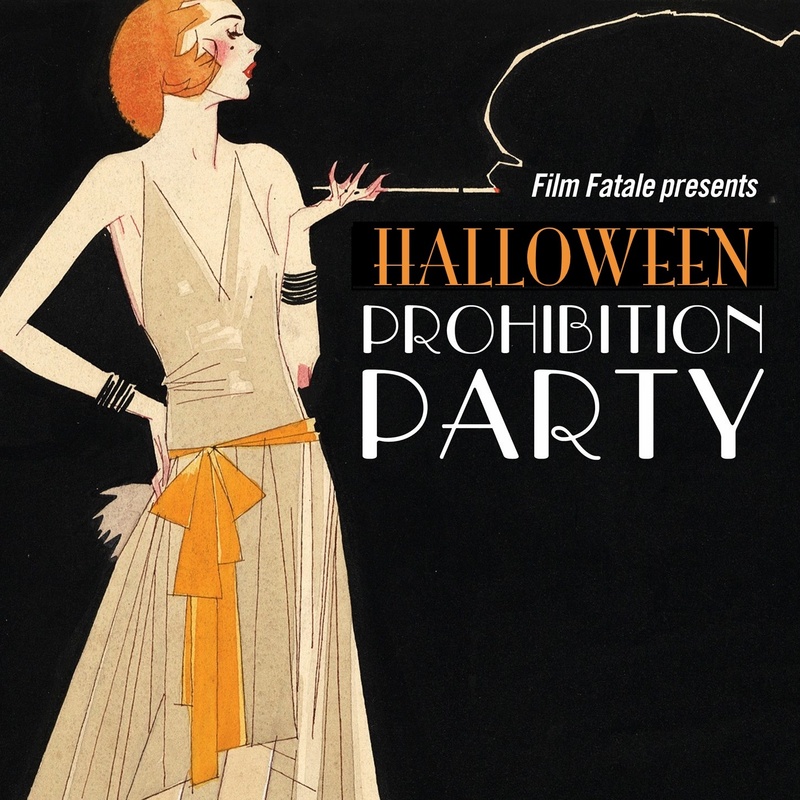 Film Fatale’s 1960s Mad Men-esque party will celebrate the fashion and music of one of the greatest decades. Slip into the sixties with live music from Miss Truly Divine and her Indulgents, followed by the queen of sixties style and music, DJ Dandelion and retro chic DJs The Andrews Sisters’ Brothers who will be your trustworthy guide to all things vintage, bringing you on a tour of music evolution with your favourite dance floor fillers from the late 1950s through to the 1970s and the days of Disco. Pay homage to the 1960s by dressing up in vintage style. Embrace fabulous swing dresses, mod chic, go-go glamour, Don Draper cool, or 1960s rebel style, or just your vintage finest, and imagine you are in Mad Men with our 1960s-style cocktail bar.